Mike inherited an old wall clock from his grandfather. It must’ve been decades old; older than that even. It had weights that needed pulling up once a week. It would chime on the hour and ring out the o’clock. For Mike the hourly chiming of the clock was like an old friend. 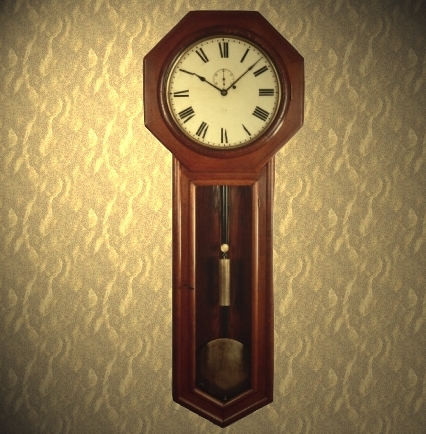 Once, when the clock broke down and a part had to be replaced (these old clock hands should never be turned back because it harms the mechanism; simply stop the clock for the appropriate number of hours if it runs fast) he missed its comforting chimes. “Chime-Charm”, Mike called it. Mike knew he had to do something about this silly neurotic fixation he was developing. He must get away from the clock for a while. He took his plate of breakfast muesli out onto his balcony where he couldn’t hear the chimes.